Save AED 61 (43.88%) – Earn 7 Shukrans What is Shukran? Shukran is the Landmark Group’s award-winning loyalty programme in the Middle East, which allows you to earn Shukrans when you shop any of our brands. 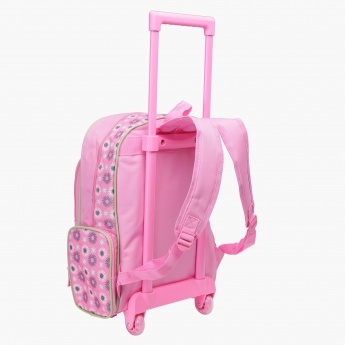 Charmingly styled, this three-piece trolley backpack set is a lovely solution to your little one's daily needs. The appealing print in fun tones peps up the make of the pencil case and lunch bag, which accompany the backpack.